Do you want to start a money making blog but don’t know where to start? Then you are in the right place. to start on the right foot, as early as today. Click on this link to get immediate access to my step-by-step blogging & affiliation course **ABSOLUTELY FREE**. I have created a step-by-step blueprint to help you build your own blog: Quickly and easily EVEN if you are not technical. I don’t know if this information can help you, but, the best way to find out is to read the short text below and watch the video to determine if this is for you. I started working online full time in 2013 and built several high income-generating businesses. These businesses are, for the most part, fully automated and allow me to have the flexibility to travel all year, have ton of fun and never setup an alarm clock, UNLESS I have something exciting to do (like catching a plane). Internet and online businesses have allowed me to stop living a life of sacrifice, where I was trading the best years of my life for a mere salary and a few weeks holiday each year. In addition, it helped me make more than $40,000 per month, as you can see in the video on this page. Today, I am able to earn more than $10,000 a week, while traveling the globe, by leveraging the power of blogging, affiliation and automation. I have to be honest with you. This didn’t happen overnight and there were bumps on the road. This is precisely where my blogging & affiliation course comes into play. I tracked everything I did for the last 5 years. What worked, what didn’t work (and why it didn’t work). This allowed me to create a step-by-step blueprint that you can follow to reproduce my success. I know that many of you guys want to start their blog, but simply don’t know where to start. 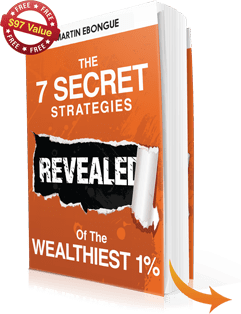 There are a lot of moving parts when it comes to making money online BUT I have created the ultimate step-by-step treasure map that removes all the guess work. You only have to follow a few simple steps and you are good to go. In this FREE email course, I’m going to show you exactly what you need to do to create your first blog (possibly in the next 30 minutes) even if you are not technical at all. If you know how to move a mouse and click on a few buttons then you EASILY qualify. I am going to take you from where you are today, to making your first dollars online and building a massive following. Everything I have learned over the years is in the course (I personally use these strategies on all my own businesses. You can see my results in the video on this page). It flat out works! For the next 7 days, you are going to receive 1 email per day, from me, containing the lesson of the day and action steps. It is structured to remove the fluff and only focus on the important steps that generate massive results. Each step helps you build your automated money-making machine the right way, so that you can get started on the right track. In this lesson, we are going to focus on starting your WordPress blog. I have prepared easy step-by-step tutorials for you. Click below to discover the ultimate guide to creating your own Work From Anywhere Lifestyle.